AUGUST 14 ONLY: DYNEEMA® SERIES ON SALE 15% OFF. Hyperlite Mountain Gear launches its first Dyneema® Duffel bag after years of testing. Photo by Seth Timpano. Hyperlite Mountain Gear’s new 140-liter duffel is made out of a woven Dyneema®/non-woven Cuben Fiber. The bag is the lightest on the market for its size, weighing just 2 lbs, 9.8 oz (including the .31-lb shoulder strap). 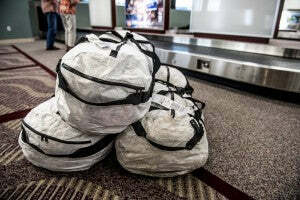 Three Dyneema® Duffels on their way to Alaska. According to Hyperlite Mountain Gear Ambassador and accomplished alpinist, Seth Timpano, the duffel is perfect for big expeditions and guiding mountains. “It fits nicely into a Paris Expedition Sled, which is the standard for trips like Denali, Antarctica and Greenland,” Timpano explains. 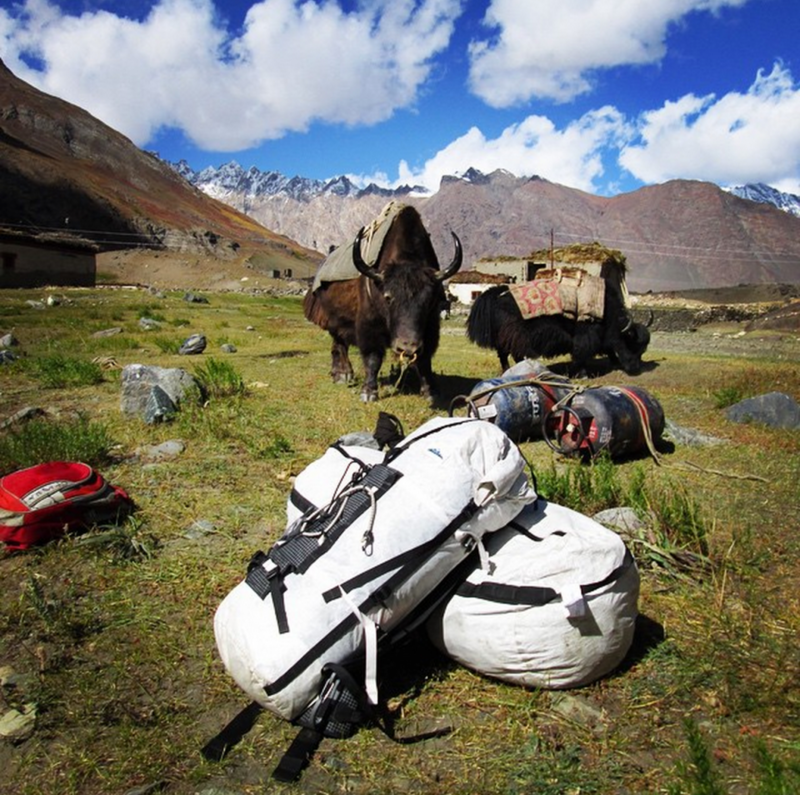 He has used a prototype Dyneema® Duffel on four Denali Expeditions, three trips to Antarctica and as a travel bag for several other adventures. Other important features include the length—it should be long enough to fit a bunch of gear but also not take up the entire length of the sled. 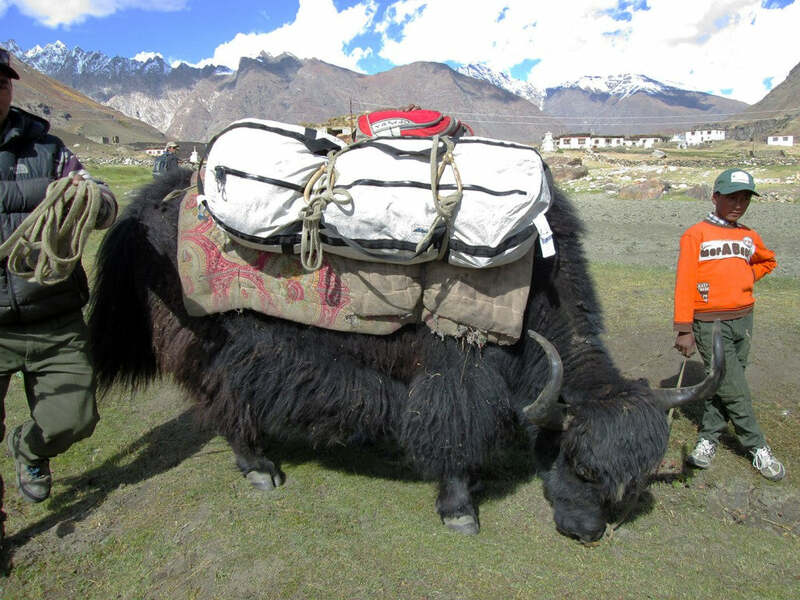 This is because guides typically want to leave about 12-inches to carry a CMC (a.k.a. shitcan) or a couple gallons of fuel. Plus, the durability, waterproofness and light weight of the Dyneema® also makes this bag ideal. Read more about our Dyneema® fabrics and other products. Or shop the Dyneema® Series now. The post It’s a Beast: Hyperlite Mountain Gear To Launch Dyneema® Duffel Bag appeared first on Hyperlite Mountain Gear Blog.